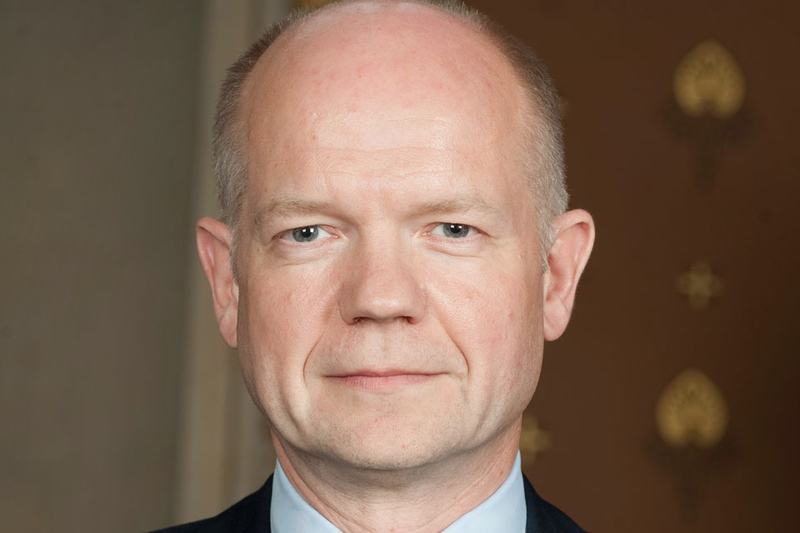 Foreign Secretary William Hague was interviewed by The Politics Show BBC 1. He talked about the future of Afghanistan and the Euro crisis. Jon Sopel: Now I spoke to the Foreign Secretary William Hague in Helmand Province a little earlier this morning and asked about the enforced changes to his travel plans on his trip to Afghanistan. William Hague: We changed our plans at one stage of the trip but there’s nothing unusual in that. We’re otherwise proceeding as normal, with a fascinating, very useful trip to Kabul, meeting President Karzai and much of his Cabinet yesterday and visiting the troops and our aid workers and others here today. We did change our plans last night because there was a small amount of fighting around Kandahar which we were flying in to but we came in to Camp Bastion instead, so nothing to be too alarmed about. JS: But I guess it just does underline the dangers that are still there. WH: Well of course, yes, there’s a war going on here still, this is an area of conflict and it does underline the amazing work of our people who live here. You know, they’re working in the desert in extreme temperatures bringing some order, bringing some hope to this part of Afghanistan and yes things can happen at any time, and the fact that we had that small incident at Kandahar last night, just does underline that. JS: Can I ask you this; what are we there in Afghanistan for? Liam Fox says it’s not for the sake of the education policy in a broken Thirteenth Century country, Andrew Mitchell the International Development Secretary says development including education is absolutely crucial. WH: We’re here to make our own nation more secure and our allies more secure, we’re here really to try to make sure that Afghans can look after their own affairs and their own security in the future without Afghanistan presenting a danger to the rest of the world. So our objective is security. But that of course does not exclude the other things, the things that Andrew Mitchell has just been talking about, because good development, good education, making sure that people have some jobs to go to, that they can take their goods to market, that they’ve got roads they can travel on, that of course is an important part of bringing about the security. So development and education is one of the ways in which we achieve better security for the people of Afghanistan and for the people of the United Kingdom. JS: You would have to agree though that it did seem to be sending pretty mixed signals from Andrew Mitchell, from Liam Fox. It doesn’t seem like they were saying the same thing. WH: The three of us gave a press conference in Kabul last night and anybody who heard that whole press conference with Liam Fox pointing out how important the development work is to security and Andrew Mitchell how important the work to improve security is for any hope of development would see that these are Ministers working very well together and with the same objectives. And indeed one of the important considerations on this trip is we’re meeting British officials and soldiers who work brilliantly well together, whether they’re part of the Ministry of Defence, the Foreign Office or the Department for International Development, and we’re saying Ministers must work brilliantly well together, whichever department they’re in, and that is what the three of us in these departments are absolutely determined to do. JS: And you are going to maintain your commitment to double the operational allowance? WH: Yes, we will double the operational allowance, that was in our manifesto, it is in the agreement of the coalition, and the details of that will be announced by the Chancellor when we come to the Budget later next month. JS: But can you say how much it’s going to cost? WH: No, I can’t, that’s for the Treasury to work out. I have enough on without working that out myself, but clearly we are going to double the operational allowance, the details are going to be announced next month. That’s all we can say at the moment. JS: Yes but could you at least give some signal to the soldiers whether that is going to be sooner rather than later? WH: No you’ll have to wait for the announcement in the Budget, we have to do these things in an orderly fashion, you know, the commitment is there, this wouldn’t be happening at all if there hadn’t been a change of Government, so let’s be absolutely clear about that. So it is going to happen, it is going to be in the first Budget, but of course the Chancellor’s got to do everything in the round, all the numbers have to fit together, so it’s for him to produce the numbers on that, and we don’t have long to wait to the Budget for him to do that. JS: I just wonder when you’re making announcement about six billion pounds’ worth of cuts tomorrow and here this seems to be a slightly uncosted pledge to double the operational allowance, although I’m sure all the soldiers are very keen to get it. WH: Well they are very keen. Liam Fox the Defence Secretary reiterated to the soldiers we spoke to today that that will be happening. It’s within of course the Ministry of Defence budget and you will recall that we’re not planning any reduction in the Ministry of Defence budget in this first year of the Government, that’s one of the areas that is ring fenced from in year reduction, because we are conducting a major security and defence review and decisions about defence spending will be taken in the light of that review. So that operational allowance will be, is part of a defence budget that is ring fenced from reductions this year. JS: A final question on Afghanistan if I might. How long do you think the soldiers are there for? WH: I don’t think it’s possible and I don’t think it’s wise to set a date. I mean, they should only be here for as long as we need to work towards that objective of Afghans being able to look after their own security. And one of the things we’ve been having a lot of discussions about on this visit is how we can speed up the training of the Afghan security forces and encourage wherever possible Afghan forces to take responsibility themselves, which they are increasingly able to do. But I don’t think setting a deadline helps anybody. I think in so much of what we’re doing in Afghanistan setting targets for people then to jump through hoops towards doesn’t help them in their work, because of course sometimes things take longer than you expected, of course sometimes things are tougher than you expected. And so what you’ve got to try and make sure is the strategy’s right and the progress is taking place, but not make the job harder of the people doing such hard work here by setting them an artificial deadline. JS: Okay, Foreign Secretary, can we turn to the, the Euro and what is happening in Europe at the moment? Would you say the Euro is in crisis? WH: Well there is a crisis, of course there is a crisis, the German Chancellor said the Euro is in danger, so the language of crisis is there out on the air waves. We don’t want the Euro to be in crisis, I’m a long standing opponent of Britain joining the Euro, but we don’t want the Euro to collapse or countries to pull out of it because of course, that kind of crisis is very bad for Britain and affects financial confidence across the board. So yes, I’d say there’s something of the atmosphere of a crisis but this just reinforces the point that countries have to bring their deficits under control, give the world confidence that countries with great debts will bring them under control; that is the best answer to this situation. JS: Ironic isn’t it almost that you went in to the 2001 election pledging to save the pound, here you are in Government and you’re sort of, part of what your job is is to help save the Euro? WH: Well yes, we did warn, I warned all those years ago that to create a one size fits all currency and one size fits all interest rate for economies that naturally diverge is a dangerous thing to do economically unless you’re trying to create a single economic state. So I suppose that’s been vindicated in many ways, but I don’t take any comfort from that. This is a difficult situation for Europe. The United Kingdom has participated in the dying days of the old Government and we support it in the new Government in one part of the financial assurance, the potential that the contingency plan of the European Union, we’re clear that we can’t go further than that in our current financial circumstances. So we will do what we can to help but it’s, the most crucial thing is that countries with excessive debts and deficits bring them under control. JS: Foreign Secretary thank you very much indeed.